Let's rephrase the title now in order to not make complainypants losing their precious time: "Travel hacking does not work in Switzerland - when you have a mustachian/frugal lifestyle". Months ago, I read about travel hacking. I knew there were some Miles rewarding programs associated with credit cards in Switzerland but after some very quick investigations at the time, I thought it wouldn't be possible to gather that many points with spending that less per year! Hence I never checked it more than that. I got to think again about it two weeks ago when I read about people being able to fly for free (at least) once a year, so I decided to dive more deeply into the topic. I want to fly for free too!!! From all the Swiss bank programs, there is one offer that let you accumulate Miles more than the others: Swiss Miles & More credit cards. As you can spot it, it's the card service from the European program itself. Once you register, you get two cards: 1 MasterCard and 1 American Express. As I write this, they removed an interesting offer they had until end of October 2014: welcome miles doubled and half the fees during the first year. 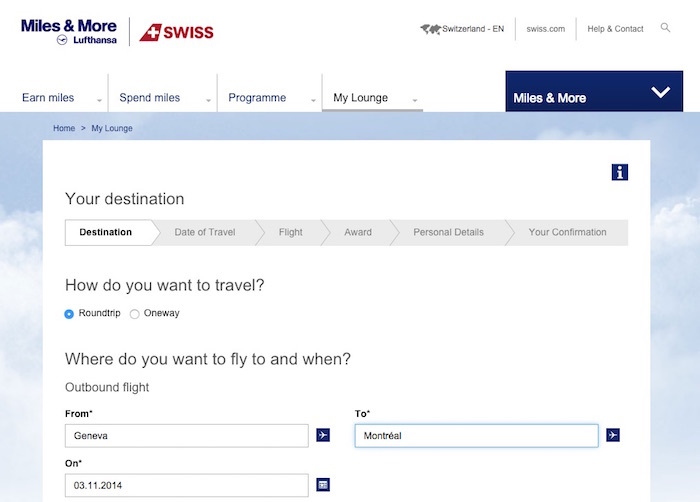 I investigated almost all the offers and it looks like Miles & More offers the best rewards program in Switzerland - let me know via the comments section if you have found a better one! One thing you should never forget is to crunch the numbers before getting sold to marketing campaigns such as "Get as much as 30'000 in two minutes by signing here!". With our passion for Canada, we decided to run three scenario: first a European flight to Helsinki, a second with Montréal, and a third to Vancouver. Another consideration before the mathematic formula: we are currently owning a free credit card issued by Migros called "Migros Cumulus-MasterCard". It has a cashback program with which you can buy almost anything thanks for Migros retailing groceries, clothes, electronic and even gas. Then you received CHF 1 back for every 100 Cumulus points. Enter the math based on CHF 33'000 of spendings per year! We spend our money out of Migros stores. This leads us with CHF 165 cashback with the Cumulus program. We pay with MasterCard as American Express isn't that much accepted in Swiss stores (even if more than in France for instance). We get 60'000 Miles easily reachable: 30'000 welcome Miles with our two Gold packages, 16'500 Miles via our spendings and 15'000 Miles via my getAbstract subscription (more about that later in this article). Thankfully, I did the calculation before subscribing to these plastic cards! In 2 of the 3 scenarios, I would get to pay more to get free flights! Isn't that funny! 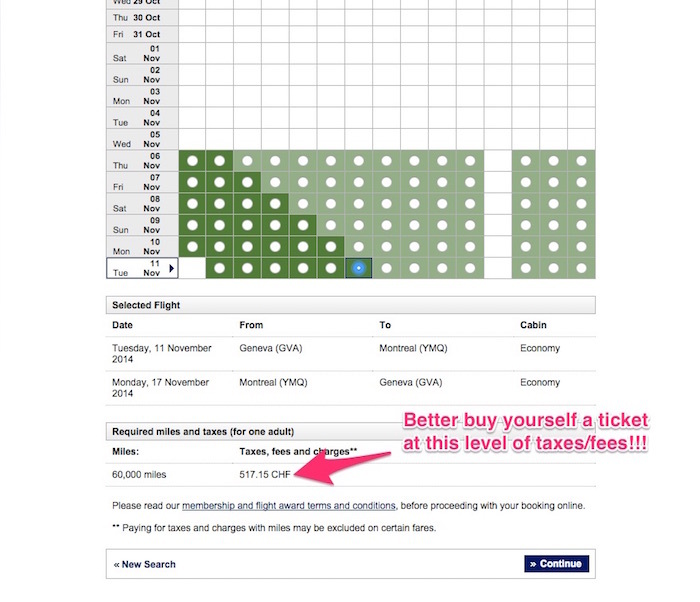 Also, one important drawback if you choose to go with the Miles program: you must take a flight from their list. Meaning sometimes (often? ), you get flights that last more than 16h with the stops. In case you have a family like me, that's not practical. You can calculate it for yourself by customizing the numbers. It's clear that if you are either not-yet-mustachian or if you know ways to pay your rent or childcare by credit cards, you might be able to get a benefit to subscribe to such credit card reward programs. So far, I tried to ask but except in stores or on the web, you can't pay these bills with credit cards. You can calculate how much Miles you need and also how much airport fees you need to pay on the Miles and More calculator. Based on this calculation, I decided to drop the pain of having new credit cards, that I would need to cancel before 1 year and re-subscribe to afterwards. We went instead with the Cumulus-MasterCard. I took mine without any welcome reward... My wife took hers back in October 2014 and got 3'000 Cumulus point (about CHF 15 with conservative calculation). What they offer is basically always 3'000 Cumulus points, but in different manners. All along during the year, if you get recommended or recommend someone, each of you get 1'500 Cumulus points. Once or twice a year they have this special welcome 3'000 points, so keep watching if you didn't got yours. You can use my Cumulus-MasterCard referral link in case the 3'000 points reward isn't active at the moment. But we didn't give up on the Miles program - at least for this year. 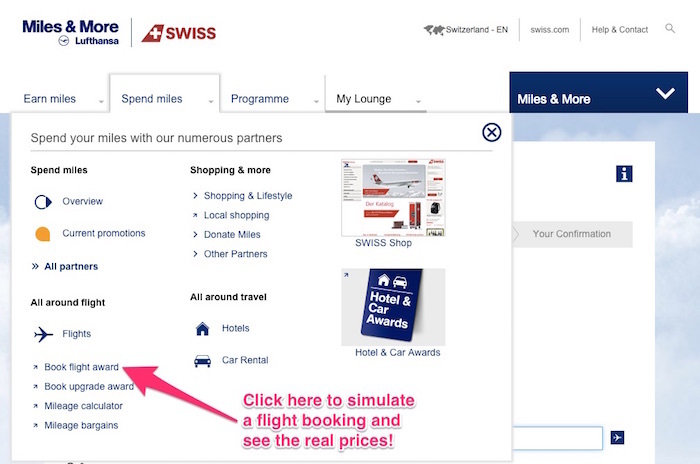 As we were still having some Miles left from Credit Suisse points, we checked out the Miles & More special offers and I found an interesting deal with getAbstract (website on which you can find business book summaries). I took it via my current employer education budget and got two things: 1 year of learnings and 15'000 Miles more. And you, do you plan or are already in the travel hacking game? How do you deal with your credit card rewards? Do not care? Addicted? UPDATE: until 10.12.2014, you can get 20'000 welcome Miles for a Classic subscription: https://www.miles-and-more-cards.ch/en/credit-cards/classic/ - quite interesting offer if you are still willing to enter the Swiss travel hacking game.